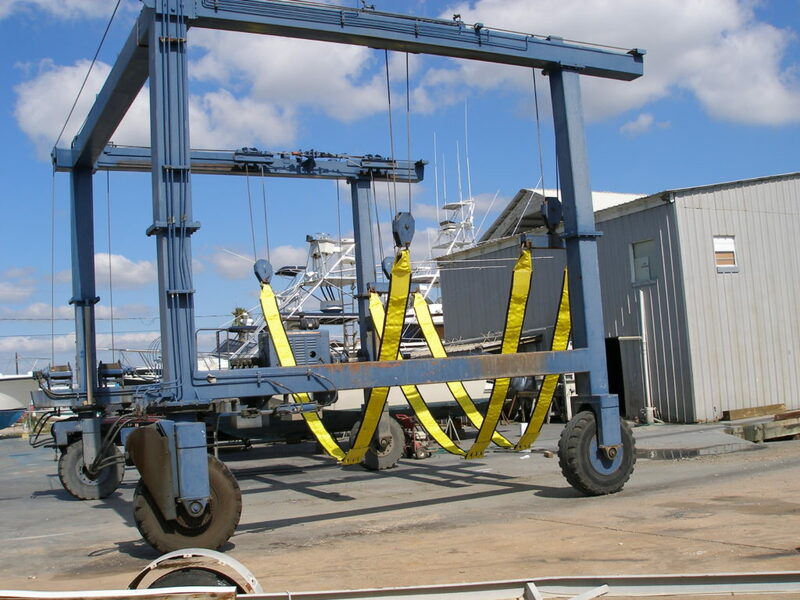 You can lift virtually any size boat with our Boat Lifting Slings, engineered to offer labor-saving convenience with all types of overhead lifting devices. Choose from one or two-ply construction in webbing widths from 2” to 12” to give you rated capacities ranging from 4,800 lbs. to 53,000 lbs. per sling. When rigged in basket hitches, pairs of standard slings can lift up to 53 tons per pair. If you need even more capability than that, you may rig additional slings or pairs in your lift. Loose pin hardware allows in-field removal for use on other slings or on additional eyes for different sized boats. Reusable alloy steel triangle is a permanent end fitting that slides easily onto the lifting hook. Extra sewn eyes allow lifting of different sized boats with one set of slings. Single ply capacity only. Edgeguard wear pads can protect sling’s edges and extend its useful life. Can be sewn on any portion of sling. Sliding chine and keel pads permit positioning padding at any point to prevent rubbing on hull and protects sling from sharp corners. Lead weights help keep sling from twisting and also serve as anchor for sling in water. Can be sewn into keel pad. Fixed or sliding options. Disconnect lets you remove sling from beneath the boat without removing sling eye from hook. Protective flap standard. Non-abrasive material to help protect boat’s hull and finish. Lightweight for ease in handling and rigging. Excellent resistance to rot, mildew, oil and seawater. Neither fiber supports bacterial or fungal growth, or is adversely affected by water immersion. Long life: All loose pin hardware is plated for corrosion resistance. Flexible design adapts to hull’s configuration to cradle load. Custom designs available for specific application and unusual rigging configurations. Wide choice of accessories and fittings. Low stretch: Approximately 3% for polyester, 6% for nylon at rated capacity with the ability to return to original length when relaxed.